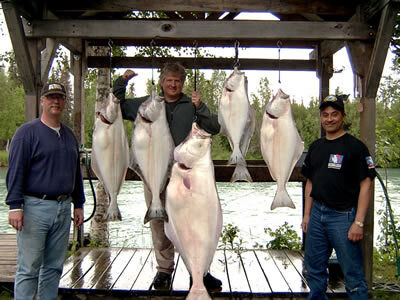 Known for it's quick access to some of the most productive Halibut fishing grounds in Cook Inlet, halibut charters operating out of Deep Creek/Ninilchik, just 40 minutes south of Soldotna, are geared for the more experienced Angler focused on chasing big fish. 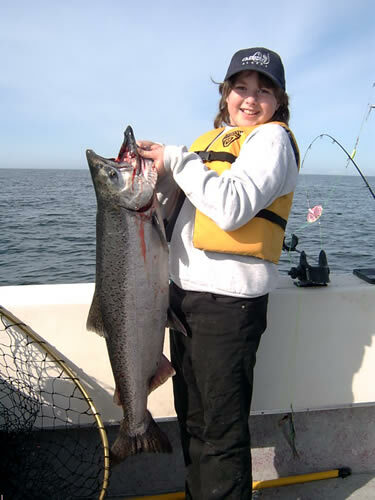 Speaking of big fish, King Salmon are also found meadering the waters off Deep Creek each summer through July, and saltwater salmon fishing for these fish that are heading toward the Kenai River and other local waters for spawning can be intercepted enroute! Combo trips are possible out of Deep Creek, based simply upon availability. Be sure you have a King Salmon stamp with your Alaska fishing license to take advantage of this opportunity if it presents itself. 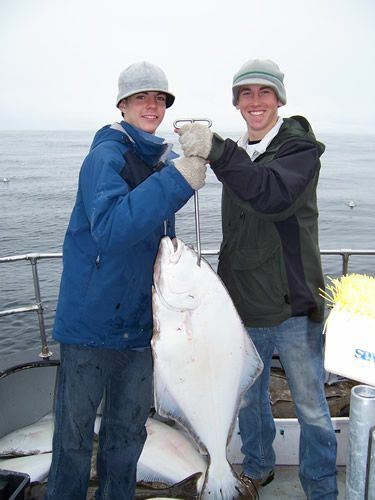 Rates range from $200~$300 per person for Halibut and/or Combo trips departing from Deep Creek based on the tide conditions, with trips lasting around 6-8 hours. 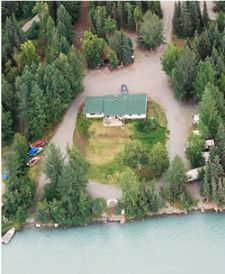 This option can be good for small groups that are limited on time for fishing, as Deep Creek is closer to Soldotna than Homer or Seward and offers the quickest access to fertile fishing grounds. Fishing generally starts within 30 minutes of departure from the beach. Oh, that's worth mentioning too. Deep Creek is not a port and does not offer a small boat harbor, rather, the boats are launched into the surf by a tractor service that hooks up the boat trailer and drives it backwards into the surf while the captain starts the engine and backs away from the beach. Due to the unique conditions of this launch, weather can play a major factor, with "blow off" days not uncommon. If you are really set on fishing for halibut, we'd recommend a back up plan if you choose Deep Creek, or at least have some flexibility in your trip itinerary to allow for rescheduling at this location or by changing to Homer or Seward. Six pack boats are the only type of vessel that operate out of Deep Creek too, so your group can be no bigger than 6. If you need a larger boat, choose Seward or Homer. The only catch for elderly or young children, is that the beach launch can be a little bit thrilling at times, both on departure and return, and in particular if the surf is "up". Limited cabin and bathroom facilities are found on six pack boats, so that should be factored in. Pros and cons exist for all saltwater fishing adventures, so be sure to ask lot's of questions in advance to make sure you understand what the trip will entail for you and your party.